The IRS has a known history of scandalous behavior. With Nixon, Johnson, Hoover, Kennedy, and the FBI using the IRS to intimidate their enemies, it's no surprise that people have their eye on the IRS. Now under President Obama, they're at it again, which begs the question: bureaucratic blunder or political profiling? In 1913, congress granted tax-free status to non-profit groups that operate "exclusively for the promotion of social welfare" that donate their earnings "exclusively to charitable, educational, or recreational purposes." In other words, NO POLITICS. In 1959, the IRS defined operating "exclusively for the promotion of social welfare" as "primarily engaged in promoting in some way the common good and general welfare of the people of the community." Go figure! This opened the door for non-profits into politics as long as it wasn't the primary goal of the organization. In 2010, the Supreme Court's landmark "Citizens United" decision cleared the way for corporations and labor unions to raise and spend unlimited sums of money, and register for tax-exempt status as a 501(c)(4). Now, for the first time, corporations, unions and associations can raise and spend unlimited amounts of money on politics... anonymously, and tax-free. The 501(c)(4) loophole + with Citizens United + The rise of the Tea Party + The budget cuts at the IRS = The Perfect Storm. "We are doing as best we can with a staff of 14 that used to be a staff of 32"
Since 2002 the IRS budget has been cut 17%. The IRS has lost 10,000 employees to attrition in just the past two years, or over 9% of its total workforce. In 2010 alone, the code underwent 579 changes. So, since 2010 there has been a huge influx of 501(c)(4) applications from conservative educational organizations that primarily focus on politics social welfare funded by anonymous concerned corporations citizens. The underfunded/understaffed liberal IRS flagged targeted political sounding conservative groups in order to stop fraud attack the President's enemies. Liberal in WH + tax-free, anonymous, unlimited spending on (51% social welfare + 49% politics) = a whole lot of conservative applications taking advantage of a loophole. Underfunded and understaffed, The IRS is tasked with determining if these groups are "primarily engaged" in social welfare or not (and they didn't fully understand the code themselves). So, 2 months after Citizens United, the IRS decided to start flagging politically sounding groups for further scrutiny. This was in anticipation of the extra burden brought on by the influx of faux conservative social welfare groups. In an effort to save money, he said, the "safety valves" that had existed to move questionable or politically charged exemption applications to Washington were shut off, as part of "a rational allocation of scarce resources. March 2010 - "Tea Party, Patriots, 9/12, We the People, Take Back the Country"
July 2010 - "be on the lookout for Tea Party applications"
August 2010 - "various local organizations in the Tea Party movement"
July 2011 - "Organizations involved with political, lobbying, or advocacy"
January 2012 -"Political action type organizations involved in limiting/expanding government, educating on the constitution and bill of rights, social economic reform/movement"
May 2012 - "organizations with indicators of significant amounts of political campaign intervention (raising questions as to exempt purpose and/or excess private benefit)"
91 had no indications of significant political campaign intervention. 205 had indications of significant political campaign intervention. No case has yet to be denied exemption. The only known 501(c)(4) applicant to recently have its status denied happens to be a progressive group: the Maine chapter of Emerge America, which trains Democratic women to run for office. The IRS would then ask for Donor lists, volunteer lists, transcripts of speeches by their members, what their views towards Israel are, and lists of politicians the group has met with are demanded by the IRS or anything to determine "political engagement." Requests the names of donors. Requests a list of all issues that are important to the organization and asks that the organization indicate its position regarding such issues. Requests 1) the roles and activities of the audience and participants other than members in the activity and 2) the type of conversations and discussions members and participants had during the activity. Asks whether the officer, director, etc., has run or will run for public office. Requests the political affiliation of the officer, director, speakers, candidates supported, etc., or otherwise refers to the relationship with identified political party--related organizations. Requests information regarding employment, other than for the organization, including hours worked. Requests information regarding activities of another organization -- not just the relationship of the other organization to the applicant. The application process, which normally takes 6 months, is extended up to 4 years or more. The "organization" can still operate, they must however pay taxes. DOUGLAS SHULMAN, Former U.S. Commissioner of Internal Revenue, and STEVEN MILLER, Former IRS Commissioner, claim ignorance and Lois Lerner, the head of the IRS division on tax-exempt organizations pleaded the fifth: "I have been advised by my counsel to assert my constitutional right not to testify or answer questions related to the subject manner of this hearing." Screened key appointees to the IRS for party and administration loyalty. Released the Reuther memorandum, a 24 page document on how you plan to fight the radical right.......the memo said the administration shouldn't hesitate to sic the IRS on tax-exempt, right-wing organizations. Launched audits on left of center organizations as cover. Completed 75% of total organization audits on "extremist" right organizations. Persuaded then President Roosevelt not to audit the backers of his Congressional campaign. Threatened businessmen with audits unless they contribute to his 1964 campaign. Allegedly exchanged tax favors for votes. Audited conservative groups, such as the American Enterprise Institute (AEI) and the Foundation for Economic Education, continue through the mid-1960s. 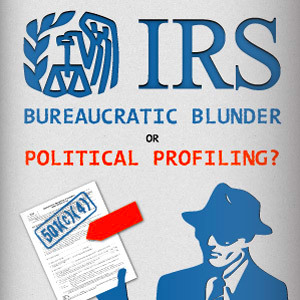 Institute and use IRS "special services staff" to harass your political rivals with tax audits. Nixon created a broad, systematic political use of the IRS, rather than use the agency on a case-by-case basis. Watergate Articles of Impeachment include charges of conspiring to use the IRS against political enemies. Has long used the IRS to intimidate and silence fringe groups. Planned to "discredit" Klan networks by alleging their illegal non-disclosure of tax information. Audited Martin Luther King Jr.'s non-profit, the Southern Christian Leadership Conference repeatedly to slow development. Obtained tax information as leverage against Black Nationalists and Anti-Vietnam War organizations. Memo: "The New Left on many occasions viciously and scurrilously attacked the Director and the Bureau." So, IRS harassment is used--starting the next day-- to "expose, disrupt, and otherwise neutralize" groups on the left.